Cover left over food in the fridge, or when you have a picnic so the bugs can?t get to it. Whimsical quilt were you will learn to do half square triangles and rectangles. A Great Beginners class for kids and teens ages 10 and up. Must have own sewing machine. Join us to learn more about our Baby Lock sergers at this fun National Serger Month Event. We will be introducing the new Baby Lock Sergers released this month! The Kith & Kin quilt 74.5? x 74.5?) is a fun scrappy quilt that goes together fairly simply and will be used for years to come. The quilt is made up using a Jelly Roll and 9 fat quarters with a bit of background fabric. Learn to sew or get the help you need for all your sewing projects. With Tamra Schenk. Class members learn basic sewing skills at their own level with individualized instruction. With Tamra Schenk. 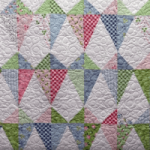 Start any time and come learn the essentials of quilt blocking. The first Saturday of the month at noon. Bring in your quilting at any step to get some help. From beginning to end we can help. Or bring in your embroidery projects to get some help. Patchwork and applique quilt, made one block per month. Pre-cut kit available. 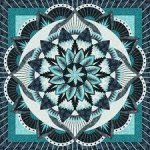 The Technique of the Month quilts, are exclusively available through Certified Instructors & the workshops they teach. We are thrilled to be hosting, Judy Niemeyer Certified Instructor, Cindy Haddick, for a great 6 part workshop. Learn to quilt Flower Feathers of many sizes and traditional Feather Border with Westalee Templates. Beginner to Seasoned Quilters are all welcome. Season table runners from the book "Table Please" by Nancy Halvorsen. Class will be held 4th Monday of each month for 12 months at 10:00 or 4:00. Kit will be available.